Singer-actress Jennifer Lopez and her boyfriend, retired Yankees slugger Alex Rodriguez, paid $15.316 million for an apartment at 432 Park Avenue, the world’s tallest residential tower, in a deal that closed in February, according to two people with knowledge of the deal. Ms. Lopez and Mr. Rodriguez’s new home measures about 4,000 square feet with three bedrooms and 4½ bathrooms. The building, located on Park Avenue between 56th and 57th streets, has sweeping views of the city and Central Park. Residents have access to about 30,000 square feet of amenities, including a lounge, a private restaurant, a 75-foot indoor swimming pool, a fitness center and a screening and performance venue, according to listings website StreetEasy. The couple bought the unit through a limited-liability company. The listing agents were Shari Scharfer-Rollins, Richard Steinberg, Sabrina Saltiel and Roger Erickson of Douglas Elliman. Adam Modlin of the Modlin Group represented the buyer. Meanwhile, Ms. Lopez is listing her former Manhattan home, a penthouse at the Whitman building just north of Madison Square Park. She purchased that unit for $20.161 million in 2014, records show, and is listing it for $26.95 million. It has four bedrooms and about 3,000 square feet of outdoor space across four terraces and two floors, according to the listing. That building is also home to Chelsea Clinton, the daughter of Bill and Hillary Clinton. A spokesman for the developers, CIM Group and Macklowe Properties, declined to comment. A representative for Ms. Lopez declined to comment. Ms. Lopez, 48, is currently performing in Las Vegas as part of her ongoing residency at Planet Hollywood. Mr. Rodriguez, 42, retired in 2016 and has worked in broadcasting for ESPN and Fox Sports. Supermodel Christie Brinkley recently picked up a penthouse in Tribeca for $29,500 per month while two of her Hamptons estates are still on the market. The gorgeous 3,000-square-foot apartment at 475 Greenwich Street boasts floor-to-ceiling windows, two terraces and incredible views of the Hudson River. Although Brinkley has called the Hamptons home for decades, one of her Sag Harbor estates is currently listed for $20 million and another, a little further down, for $29.5 million, as Variety reported. The open-layout and abundance of natural light serve as the perfect backdrop for entertaining; Brinkley recently hosted her 64th birthday party at the penthouse, according to Variety. On this level, the over 850-square-foot rooftop features iconic city views. 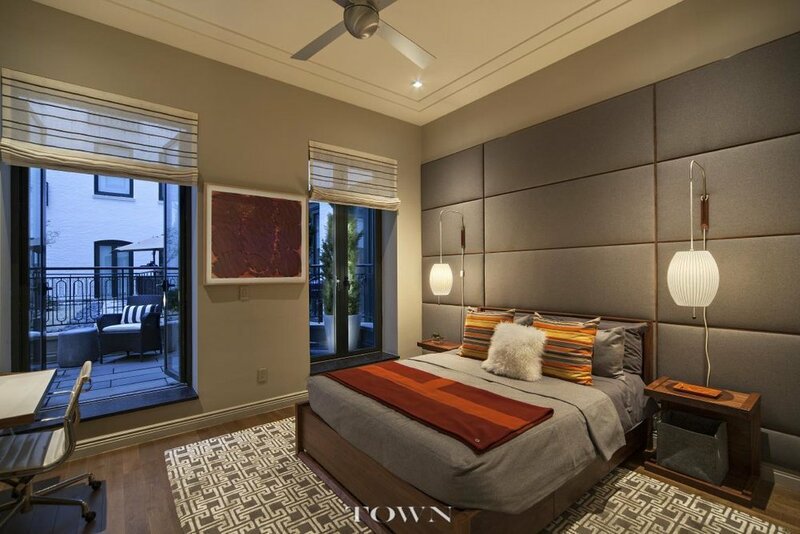 The lower level is home to the spacious master suite, which also includes floor-to-ceiling windows. The master features two closets, with one as a customized walk-in. The ensuite bathroom has a deep-soaking tub, walk-in shower and dual sink vanity. The two additional bathrooms can be found on the same level, separated from the master bedroom by a media room. The three-bedroom, two-and-a-half bath penthouse sits in the Zinc Building, a 21-unit, 7-story development designed by Greenberg Farrow Architects. Residents at the Zinc have access to a gym and bike storage room. 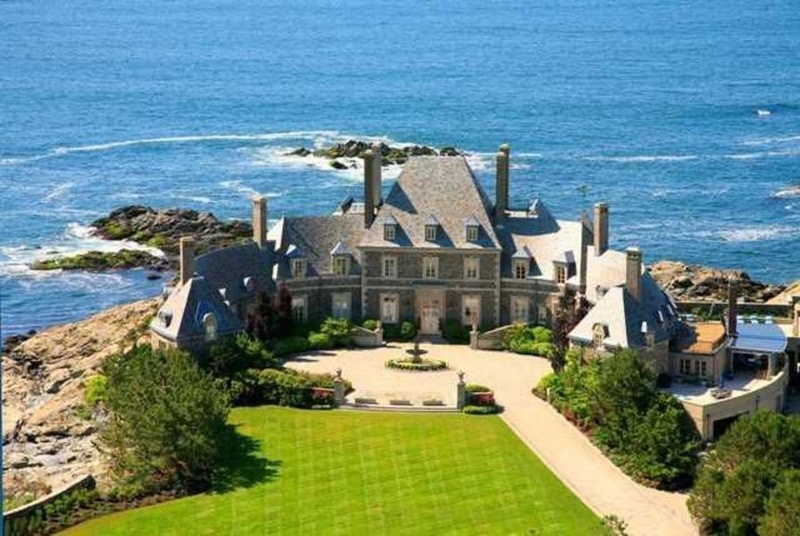 Comedian and car collector Jay Leno, who has been frequently spotted at the Audrain Automobile Museum in Newport, Rhode Island, will likely be spending more time in the New England town, having bought a collection of oceanfront apartments there. The former host of NBC’s “Tonight Show” bought four of five condominiums at the Seafair mansion on Ocean Avenue via a limited liability company, Mavis House LLC, for a total of $13.5 million, property records show. Mr. Leno, 67, signed some of the documents that were filed with the City Clerk’s office on Nov. 30. Also, Mavis happens to be his wife’s first name. A rep for Mr. Leno didn’t respond to a request for confirmation and comment in time for publication. Rumors began to surface early last month that the funny man, who grew up around two-and-a-half hours away in Andover, Massachusetts, was eyeing the property. Listing agent David Huberman of Gustave White Sotheby’s International Realty declined to comment on the sale. The combined home Mr. Leno purchased offers 15,181 square feet of interior living, spread across 14 bedrooms and 14 bathrooms. It comes with a private beach, tennis court, an infinity pool, terraces, gardens and fountains, according to a previous listing. 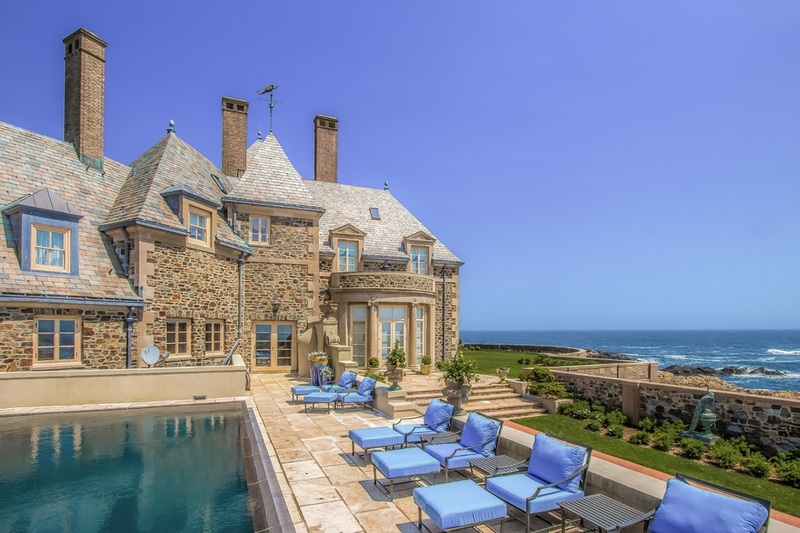 Sitting on nine acres of land at the southernmost tip of Newport, the property boasts 270-degree views of the Atlantic Ocean and has a six-car garage for Mr. Leno, who has been hosting CNBC’s hour-long show “Jay Leno’s Garage” since his “Tonight Show” tenure. The seller of the four condominiums, per public records, is Richard Bready, former chairman and chief executive of manufacturer Nortek Inc. He couldn’t be immediately reached for comment. It’s unknown whether Mr. Leno will try to procure the remaining residence in the historic mansion, which is owned by H. Larue Renfroe, owner of the Providence Bruins hockey team, and his wife, Lynda. The three-bedroom condo was once listed for $3 million, but is no longer available, listing records show. 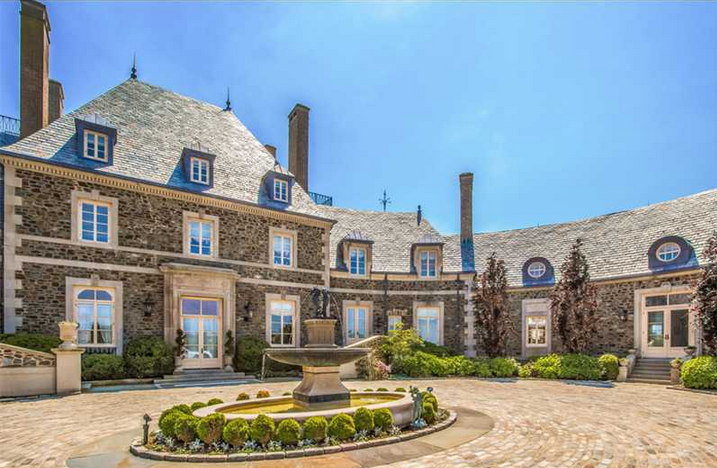 The Seafair mansion was built in 1936 for Verner Zevola Reed Jr., a Denver mining heir, who served as vice president at Chase Manhattan Bank and a U.S. ambassador to Morocco from 1981 to 1985. In modern days, the mansion hosted a fundraiser for former president Barack Obama in 2014 and a birthday party in 2003 for Mr. Bready, with celebrities such as Elton John among guests, according to the Providence Journal, which first reported the sale. Newport is home to many Gilded Age mansions built for the wealthiest American families, including the Vanderbilts, Astors, and the Widener family in the early 20th century, many of which are now used as museums. 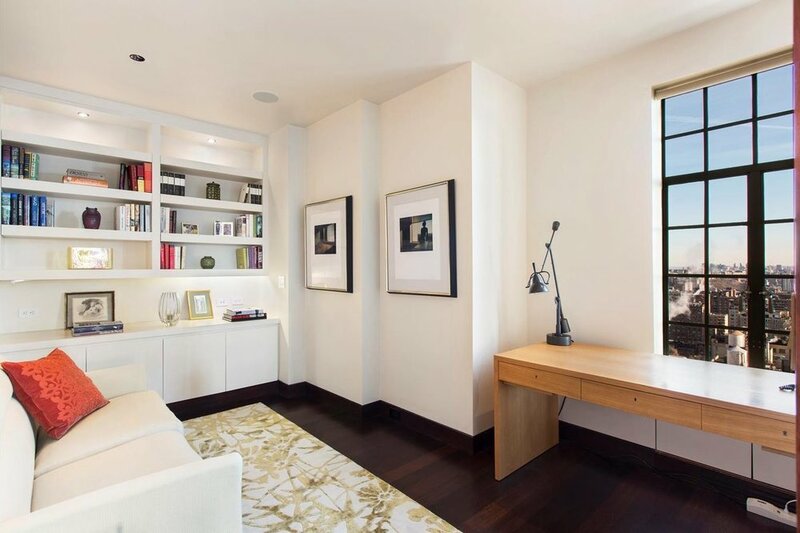 Bethenny Frankel’s Chic Soho Condo For $13K/mo. 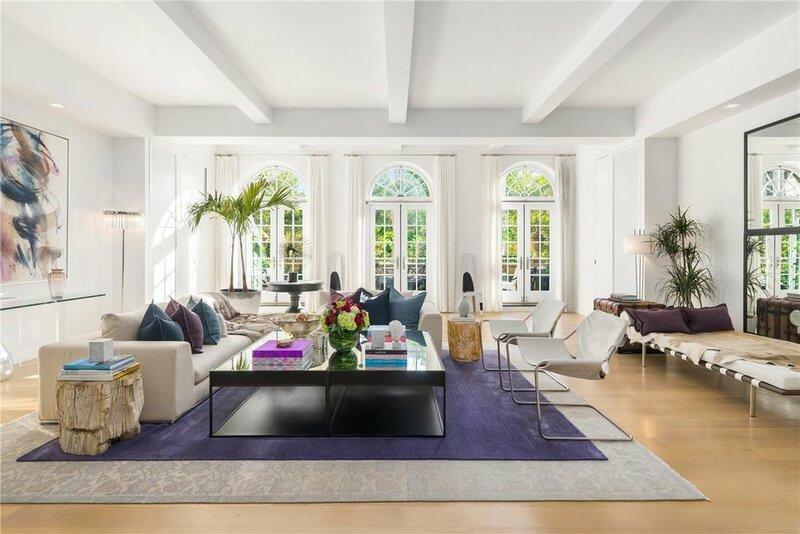 After an unsuccessful stint on the sales market, Bethenny Frankel’s condo in Soho is now a $13,000 per month rental. Frankel, star of Real Housewives of New York City and founder of the Skinnygirl empire, first tried to sell the two-bedroom apartment at 22 Mercer Street for $5.25 million in February but to no avail. While it’s now listed as a rental, the apartment is still available for purchase at a slightly lower price of $4.95 million, Curbed reports. The loft spans 2,392 square feet and boasts a working wood-burning fireplace, a balcony and 14-foot ceilings. The entry foyer leads into a spacious 25-foot wide sunken room that features super high ceilings and three east-facing double paned arched windows. This space also includes the wood-burning fireplace and a balcony that overlooks Broadway, the only apartment in the 16-unit building to have one. The kitchen’s enormous center-island and countertops feature imported marble and the space is equipped with appliances by Miele, Subzero and Wolf. Plus, just off to the side, a pantry room contains dual wine refrigerators. The listing calls the chic master bedroom a “pin drop sanctuary.” The walk-in closet was custom-made and features an abundance of storage. The master bathroom has a double vanity, deep soaking tub and a glass-enclosed steam shower. The guest room also offers custom closets and an en-suite bathroom. Amenities include a multi-zoned central heat and air, a washer-dryer and a custom home Creston system with Sonos and speakers throughout. Located on a cobblestone block of Mercer Street, the building features a landscaped roof terrace for all of its residents to enjoy. Mike Myers’ penthouse in Soho has hit the market again, but this time the pad at 72 Mercer Street is listed nearly $3 million cheaper. First listed for $16.95 million in 2015, the comedian then tried adding another unit for a combo price of $21.5 million a few months later, but no one took the bait (h/t Curbed NY). Now, the spacious duplex is currently asking $13.95 million. The 4,204-square-foot penthouse includes 3-4 bedrooms, a private roof deck, super high ceilings and massive skylights. 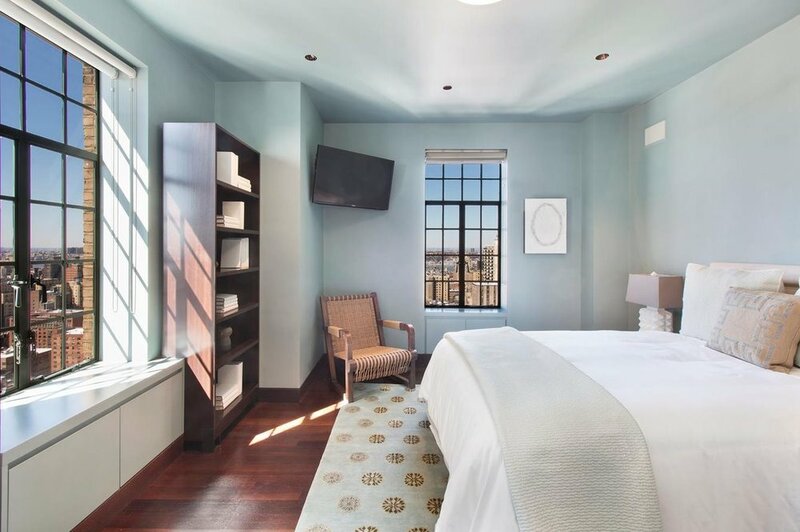 Located on a quaint cobbled street in Soho, the penthouse is a part of a newly built loft-style boutique condo that includes a 24-hour doorman. An elevator opens into this unit, leading into a spacious living room. A fireplace can be found on one end of the living space, with custom-designed bookshelves on the other. Found next to the living area, the sprawling kitchen offers tons of storage. It boasts maple and aluminum cabinetry and stone countertops. The unit’s oversized south-facing windows that bring in an abundance of light and the private landscaped roof deck make this a unique find in Manhattan. The master suite can be found on the lower level and features outfitted closets and an en-suite bathroom. The bathroom has Thassos marble and fixtures from Porcher, Dornbracht, Duravit and Waterworks. Two additional bedrooms and a laundry room can be found on this level as well. In addition to the private roof-deck, the building includes a landscaped and irrigated roof terrace with lots of seating. Shaded by a pergola, the roof features breathtaking city views, especially during sunset. This week's biggest closing was the entire 33rd floor of the Residences at the Ritz-Carlton at 50 Central Park South. The sellers were co-chairman of Oaktree Capital Howard Marks and his wife, Nancy, who bought the 4,500 square-foot pad in 2007 for $18.8 million, and have been trying to sell it since 2012, when they listed it for $50 million. 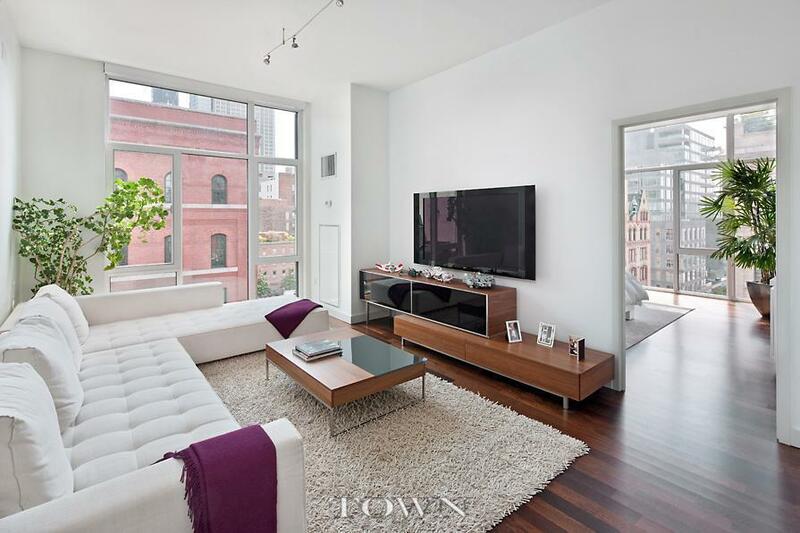 The apartment sold this week for $25M. Find out where else the week's biggest-ticket buys were, below. This week's biggest closing was the entire 33rd floor of the Residences at the Ritz-Carlton at 50 Central Park South. The sellers were co-chairman of Oaktree Capital Howard Marks and his wife, Nancy, who bought the 4,500 square-foot pad in 2007 for $18.8 million and have been trying to sell it since 2012, when they listed it for $50 million. The apartment sold this week for $25M. Perhaps breathtaking Central Park and city views, a private guest suite and access to Ritz-Carlton amenities like a health club, the La Prairie Spa, a club lounge and more don't count for quite as much as they once did. 221 West 77th Street - #16. Sold Sep 1, 2017. Image: Stribling. This private, full-floor 3,300-square-foot apartment has a terrace, five bedrooms, open city views, a custom kitchen handmade in England by Smallbone of Devizes–and just about anything else a buyer could wish for. The building offers a mind-boggling menu of amenities including a basketball court, a fitness center, a paneled library with a pool table, an exquisite roof deck with a gas fire pit and parking. For views in every direction, this high-floor 2,669-square-foot corner aerie is hard to beat. Interior finishes have been selected by deigner Jaques Grange, including an eat-in gourmet Poggenpohl kitchen and a laundry room. The full-service condominium offers a private motor courtyard for vehicles, a 24-hour doorman, a concierge, a fitness center, a playroom, valet parking and more. 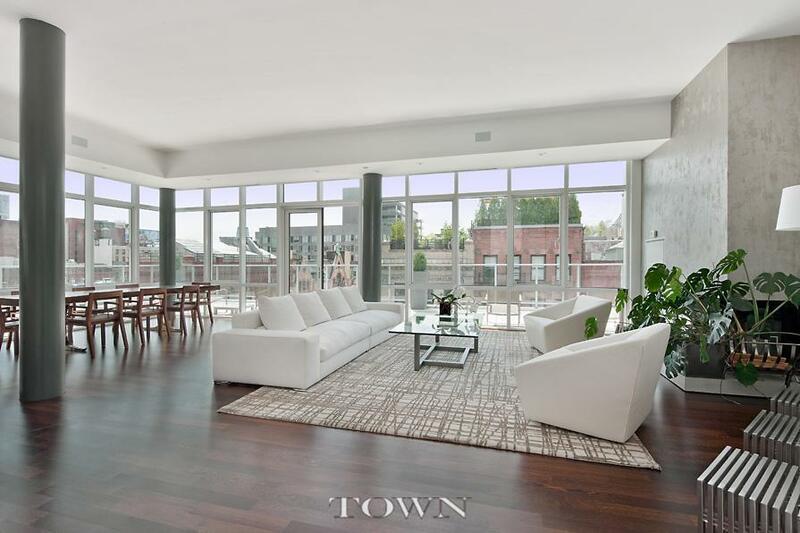 Bronx native and superstar J.Lo is selling her duplex penthouse in the Whitman, a luxurious condominium conversion at 21 East 26th Street, for $26.95 million. Lopez, who currently stars in the television show “Shades of Blue,” first purchased the Nomad pad in 2014 for $20.16 million. As the New York Times reported, the four-bedroom apartment overlooks Madison Square Park, spans 6,540 square feet on the building’s top two floors, and includes an additional 3,000 square feet of outdoor space spread across four sprawling terraces. Though Jenny from the Block will be departing (and taking her Grammy pictured above with her! ), the next owner can still hobnob with the building’s other A-listers Chelsea Clinton and NASCAR driver Jeff Gordon. The spacious penthouse boasts high-end finishes, 12’4″ ceilings, wide plank rift oak floors and Italian marble slab bathrooms. There’s a formal dining area, a living room and a kitchen that has stainless-steel Miele appliances (including that massive wine fridge!) and white custom cabinets. Through three sets of French doors, a south-facing terrace can be found with views of the MetLife clock tower and the Flatiron Building. Two separate staircases lead to the upper level, which is where the master suite and media room are located. The master has a seating area, two marble baths, and a windowed dressing room. 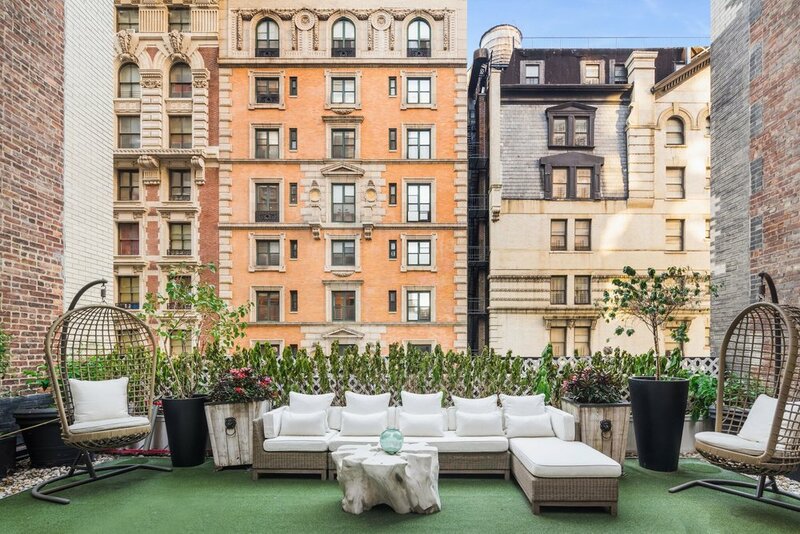 Three spacious terraces can be found on this level, with the master suite looking over 27th Street and the media room looking out onto Madison Square Park. The Whitman Building was first built in 1924 as a showroom and later converted into four large condos in 2013. Stretching an entire block between 26th and 27th Streets, the units measure as some of the longest in the city. Amenities include a 24-hour doorman, a private, keyed elevator, and fitness center. 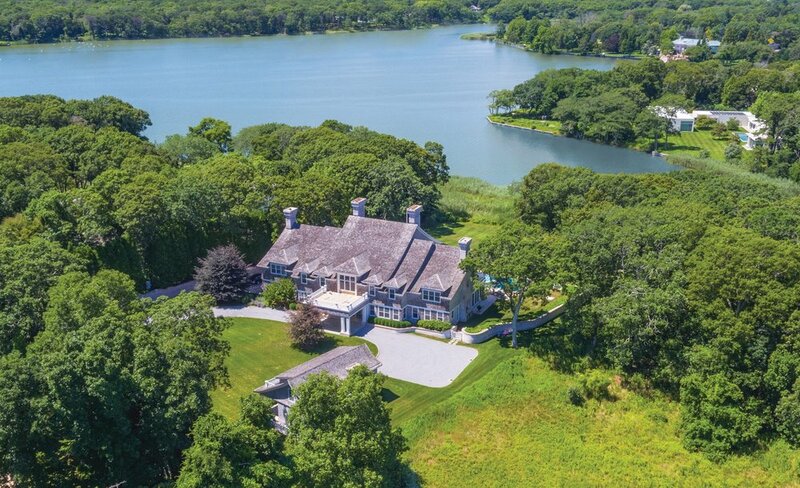 East Hampton’s “Pond House,” located on the exclusive Georgica Pond and adjacent to a 17-acre meadow preserve, sat on the market for eight long years, despite the fact that it was built by famed classical architect Standford White and features luxe offerings like an infinity pool, outdoor dining area, and hand-carved heated marble bathtubs. But in July, the 12,000-square-foot home finally went into contract for $25,925,000, and Behind the Hedges has now gotten word that the buyers are none other than Beyoncé and Jay-Z. The power couple rented a similarly grand Hamptons home in the summer of 2012, paying $400,000 to spend the month of August there and film a music video. No word yet on whether their new purchase will get the same public attention, but it’s certainly worthy. 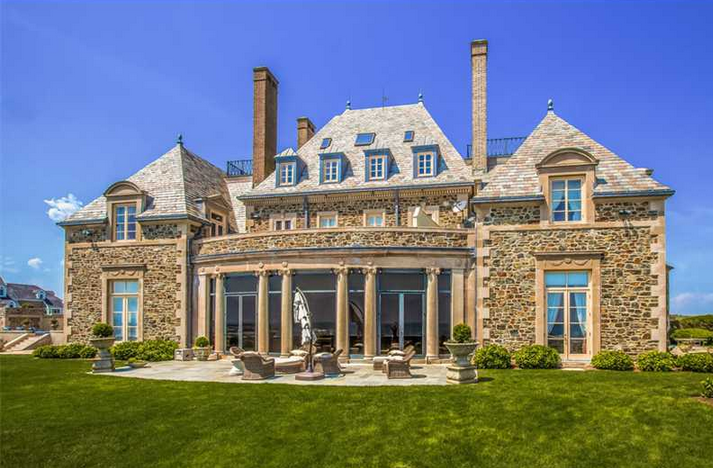 The “Pond House” first hit the market back in 2009, at which time it was asking $39.5 million. After a year, it got a $4.5 million price chop, followed by another $5 million decrease a year-and-a-half later. In 2013 it went down to its final asking price of $28,995,000, meaning Bey and Jay got a $3 million discount. On display inside is an impressive collection of opulent architectural details, including quarter-sawn white oak paneling (one of Collé’s signature touches) with a hand-applied French chalk finish, hand-pegged parquet de Versailles floors installed by French craftsmen, and 18th-century French Louis XV carved stone fireplaces. There are seven bedrooms and nine bathrooms, plenty of room for the couple’s three children. There’s also a detached 1,800-square-foot guest cottage with a living room, full kitchen, two bedrooms, and bath. Outside, a 25′ x 45′ infinity pool and spa sits at the edge of the pond and is surrounded by an outdoor grilling area and wrap-around Turkish limestone terrace. The buy came just in time for Beyonce’s Hurricane Harvey benefit concert next month at the Barclays Center. Oy vey! The New York City luxury residential market recorded only 11 contracts above $4 million last week, the lowest total of the year. Activity is normally expected to be low during the Jewish holidays, but the dearth of deals was even lower than anticipated, according the weekly report from Olshan Realty. 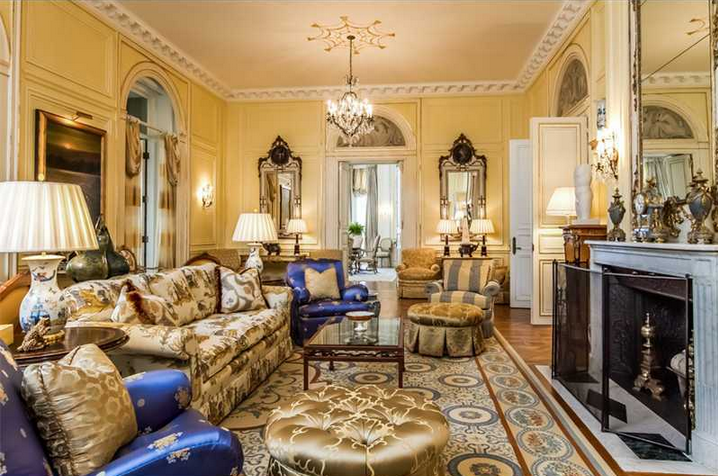 A townhouse at 4 Riverview Terrace with an asking price of $8.95 million claimed the top spot. The asking price for the three-story, 3,200-square-foot home was not much higher than the $8.75 million figure the home last traded for in August 2008. An apartment at the Alexico Group and Hines-developed 56 Leonard Streetclaimed the second-priciest contract. The 2,252-square-foot condominium unit 27BWest had an asking price of $6.97 million, down from the $7.45 million asking price when it hit the market in August 2016. The building sponsors originally sold the apartment for $5.97 million in July 2016. The number of luxury contracts signed last week jumped to above 20 for the first time in nearly three months. There were 23 contracts signed at $4 million and above last week, according to the weekly report from Olshan Realty. There were 16 contracts on condominiums (with an average asking price of $9.1 million), there were five contracts for co-ops ($7.7 million) and two were for townhouses ($6.2 million). The top two contracts were both at Naftali Group’s condo conversion the Shephard at 275 West 10th Street. Penthouse C, asking $29.5 million, has five bedrooms, five bathrooms across 5,985 square feet. It also features a 1,536-square-foot terrace. Penthouse A spans 3,846 square feet and features three bedrooms, three bathrooms and a 1,915-square-foot terrace. The number of contracts signed for luxury pads continued to drag last week, with just 15 contracts signed on homes in Manhattan’s over-$4 million market. The total asking price sales volume was $100 million, according to the weekly report from Olshan Realty. Of the 15 contracts, 12 were for condominiums (with an average asking price of $6.8 million) and three were for co-ops ($5.9 million). There were no contracts for luxury townhouses last week, according to the report. The top contract was for South 12A at Ian Schrager’s 160 Leroy Street, priced at $16.2 million. The home has four bedrooms and four-and-half bathrooms across 3,808 square feet, and features 12.6-foot ceilings, according to the listing. The apartment was first listed for $16 million back in January. The no. 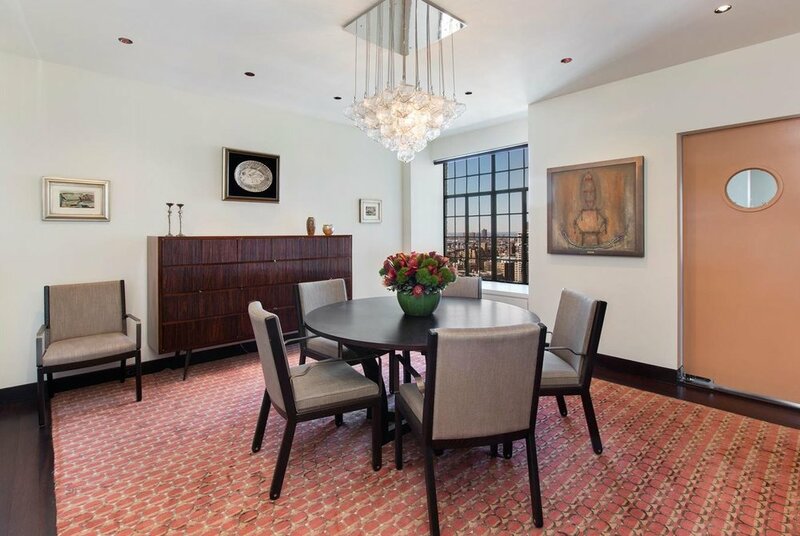 2 contract was on makeup guru Laura Mercier’s apartment at 212 West 18th Street, last asking $11.2 million. The two-bedroom spans 2,168 square feet and building amenities at Walker Tower include a 24-hour doorman, playroom, gym and roof deck. The home went under contract after 35 days on the market, according to Olshan. The median asking price was $5.5 million. The average discount from original ask to last asking price was 4 percent. The average days on market was 402. 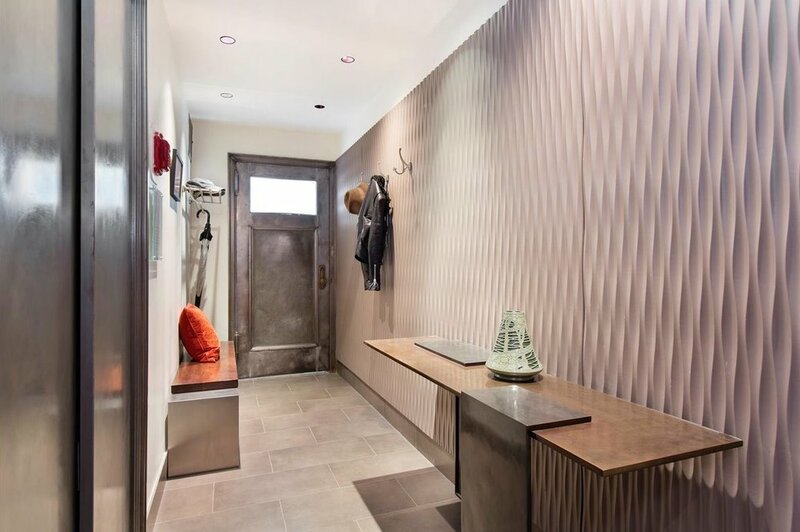 Alexander Skarsgärd, an Emmy-nominee for his role in “Big Little Lies” and star of “True Blood,” has just purchased a co-op at 119 East 10th Street for $2.3 million, $300,000 over the asking price (h/t LLNYC). 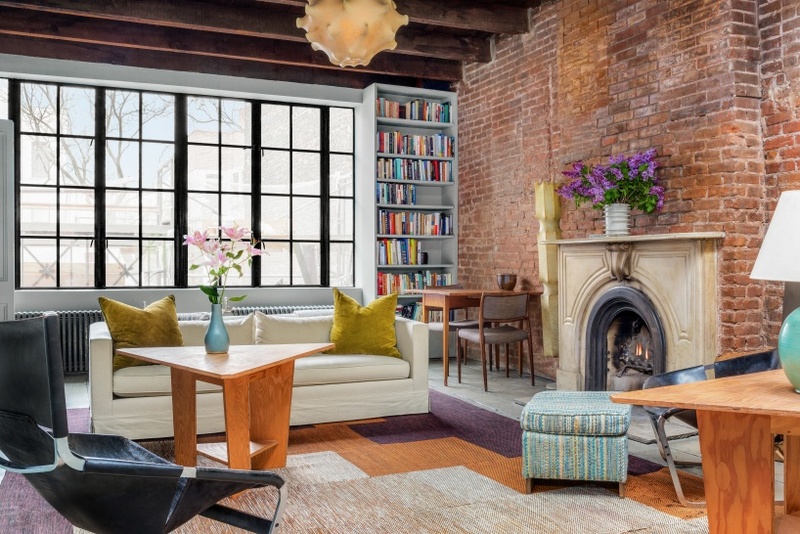 The East Village apartment once belonged to actress Parker Poseywho sold it in 2008 for $1.3 million. Chloe Sevigny also lived in the same building for a few years before making the move to Brooklyn in 2013. 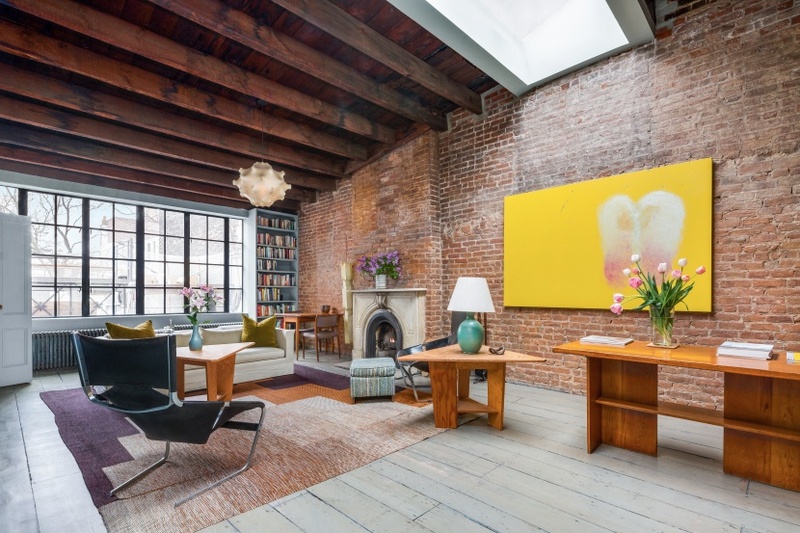 The newly-single Swedish actor, who first looked at a penthouse at 415 East 6th Street back in December, chose the historic loft-like one-bedroom, which features wood-beamed ceilings, oversized windows and a communal garden, instead. The pre-war apartment is located on the top floor of a townhouse in the heart of the East Village, in the St. Mark’s Historic District. With an open-layout, the apartment feels spacious with its exposed brick and original wide plank floors. While still retaining its historic charms, the apartment’s kitchen has been fully upgraded and includes a bath, laundry and wood burning fireplace. 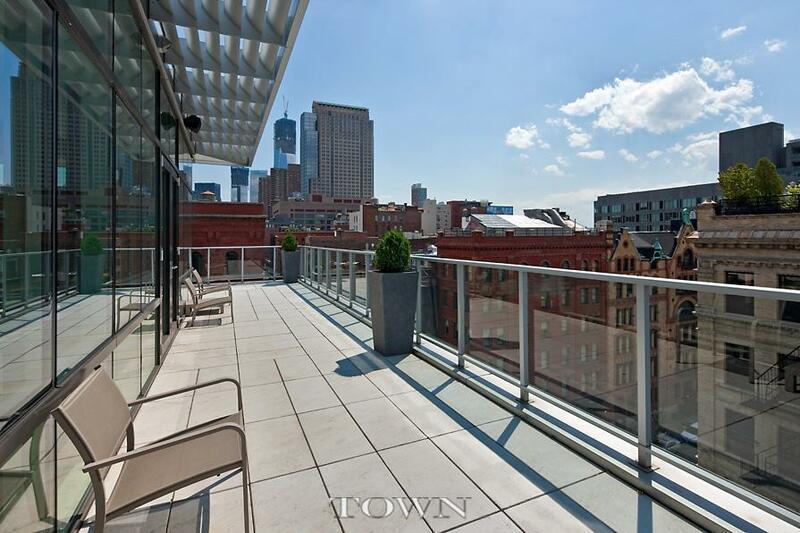 The top floor boasts access to a roof deck with sweeping Manhattan views. Plus, amenities of the co-op include a common garden, a live-in super and basement storage. The location makes this co-op truly special, with Union Square, Tompkins Square Park and all that the East Village has to offer just a few steps away. Far from the city of Compton in the posh Woodland Hills section of Los Angeles, a house once owned by the infamous late rapper Tupac Shakur can be yours. The house Tupac called home from 1995-96, following his release from prison, just hit the market asking $2.6 million. 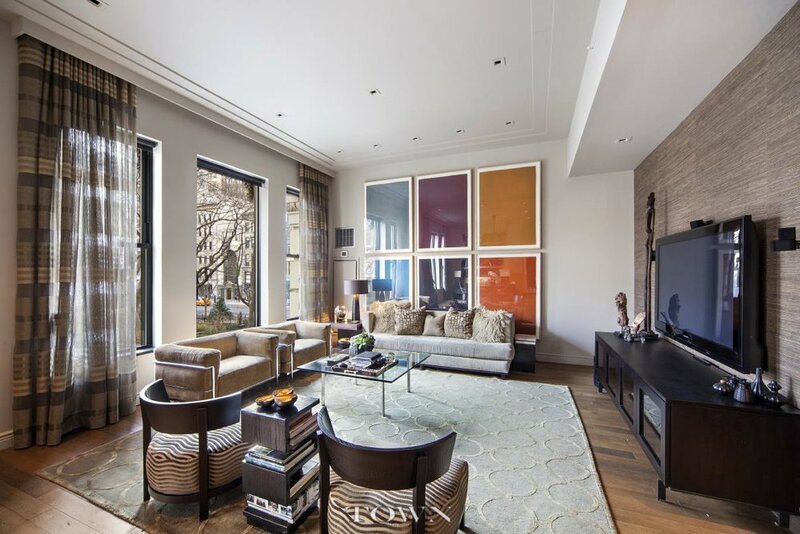 We’ve just received word that Lester Holt has sold his pad for $6.4 million after a little more than three months on the market. Steven Pasquale has been “rescued” from his former apartment. 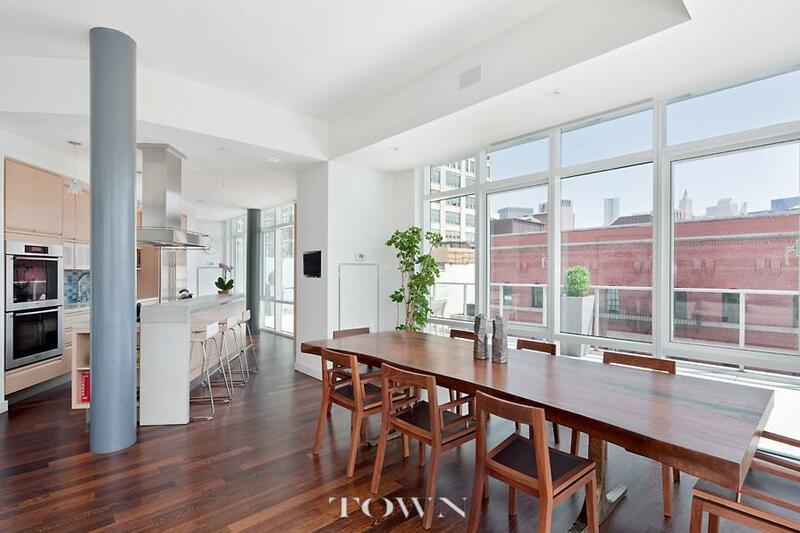 The actor, who is best known for his role as Sean Garrity on “Rescue Me,” has just sold his penthouse unit at 58 West 129th Street for $1.875 million. We guess Rachael Ray is going to be cooking with EVOO somewhere else. 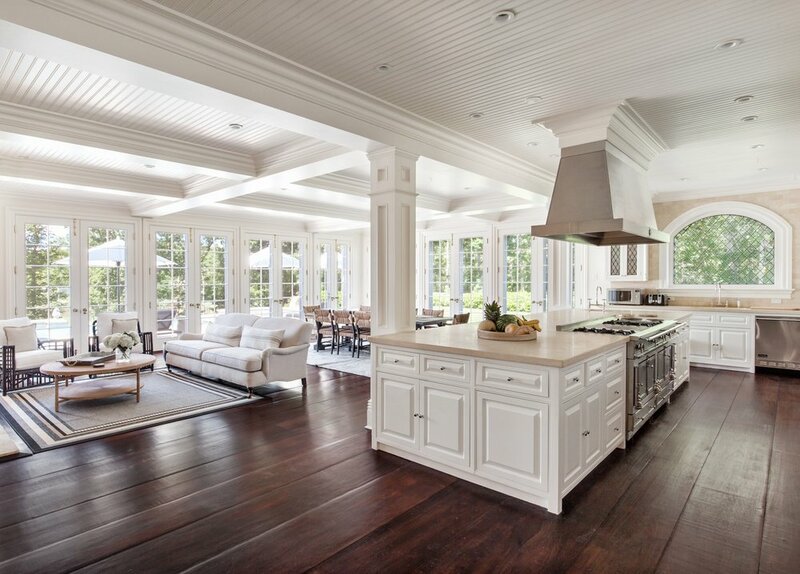 The chef and television personality has just listed her Southampton home for $4.9 million. Amazon CEO Jeff Bezos seems to be doing some celebratory shopping following his company’s $13.7 billion acquisition of Whole Foods. He has added a second Beverly Hills home to his shopping cart for $12.9 million in an off-market deal. Manhattan’s luxury market just keeps sliding, with just 14 contracts signed for homes priced at $4 million or more last week. It’s the sixth week in a row the number of luxury contracts has fallen below 20, according to the weekly report from Olshan Realty. In the period between July 31 through August 6, the total weekly asking price sales volume hit $101.7 million, the lowest level since the last week in January. The top contract was on unit 56A at World Wide Group and Rose Associates’ 252 East 57th Street. The five-bedroom, 4,972 square foot apartment was last asking $14.7 million, down from its 2015 asking price of $19 million. The development launched in 2014, and the sponsors have cut asking prices and offered increased commissions to buyers’ brokers. The no. 2 contract was on Penthouse B at 73 Wooster Street, last priced at $13.8 million. The duplex has four bedrooms across 5,230 square feet. 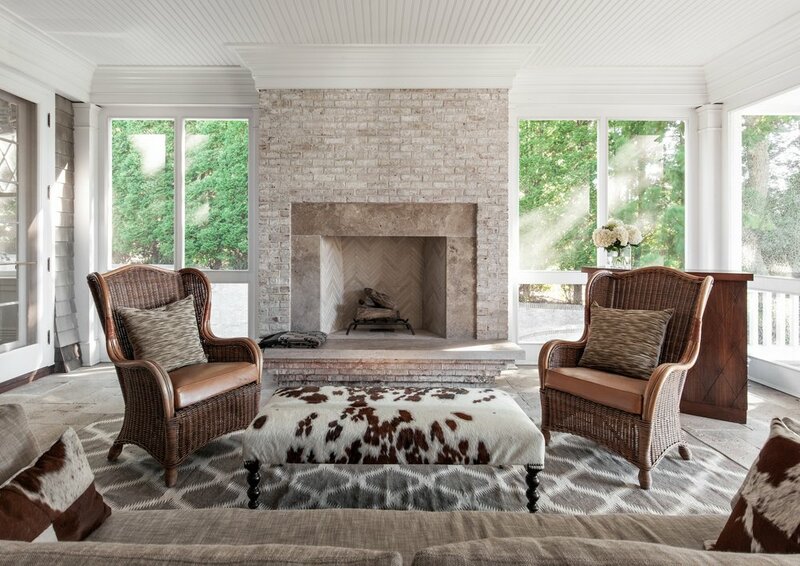 It features a gas fireplace and 15-foot ceilings. Out of the 14 contracts signed, five were for condos with an average ask of $8.1 million, one was for a co-op asking $5.3 million, and two were for townhouses ($6.4 million). According to Olshan, the median asking price last week was $5.5 million. The average discount from original ask to last asking price was 7 percent. The average number of days on market was 357. Luxury contracts lagged again last week, with the total asking price sales volume hitting just $122.6 million, according to the weekly report from Olshan Realty. A total of 16 contracts were signed in the period from July 17 through July 23. Out of that 16, a total of 11 were for condominiums (with an average asking price of $7.6 million), two were for co-ops ($7.6 million) and three were for townhouses ($8.3 million). The top contract was on apartment 16A at Foster + Partners-designed 551 West 21st Street, last asking $17.5 million, or $4,097 per square foot. The four-bedroom home spans 4,270 square feet and features 11-foot ceilings and a service entry. It first hit the market last September asking $19.5 million, according to StreetEasy. The no. 2 contract was for a townhouse at 174 East 64th Street, asking $13.9 million. The five-story home has four bedrooms, five bathrooms across 7,500 square feet. Since 2015, it’s been reduced down from its original asking price of $16.9 million. According to Olshan, the median asking price last week was $6.4 million. The average discount from original ask to last asking price was 9 percent. The average number of days on market was 577. Lipstick queen Kylie Jenner of the Kardashian clan is nearing a deal to sell her Calabasas home on Prado De Oro. The social media influencer and founder of Kylie Cosmetics purchased the Tuscan-style home in March 2015 for $2.6 million and gave the home a complete makeover, then listed it for $3.3 million. Every “girl” needs to grow up sometime. 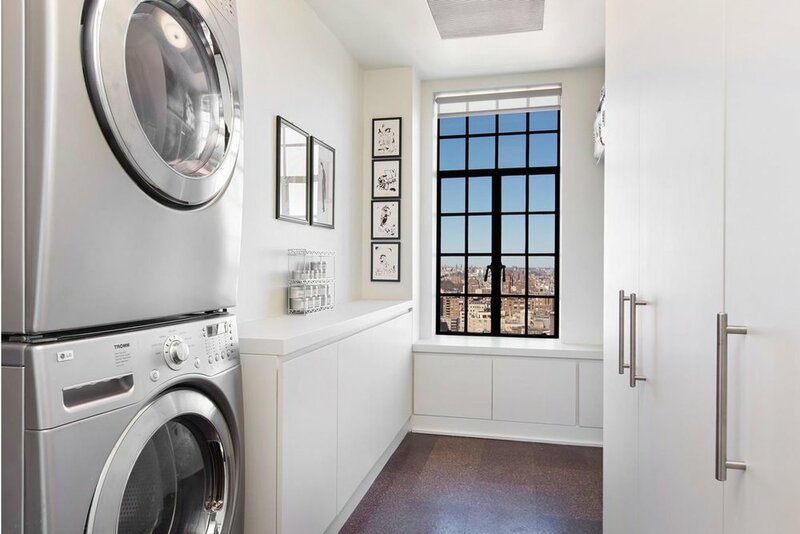 “Girls” showrunner Lena Dunham has just sold off her starter apartment at 145 Hicks Street in Brooklyn Heights for $850,000. Real estate developer and former Studio 54 co-owner Ian Schrager has just dropped $4.3 million on a condo unit at 31 Washington Street in Dumbo. Now that Katy Perry has triumphed over the nuns in her quest to buy a Los Feliz convent, it seems she no longer needs her compound in the Hollywood Hills. 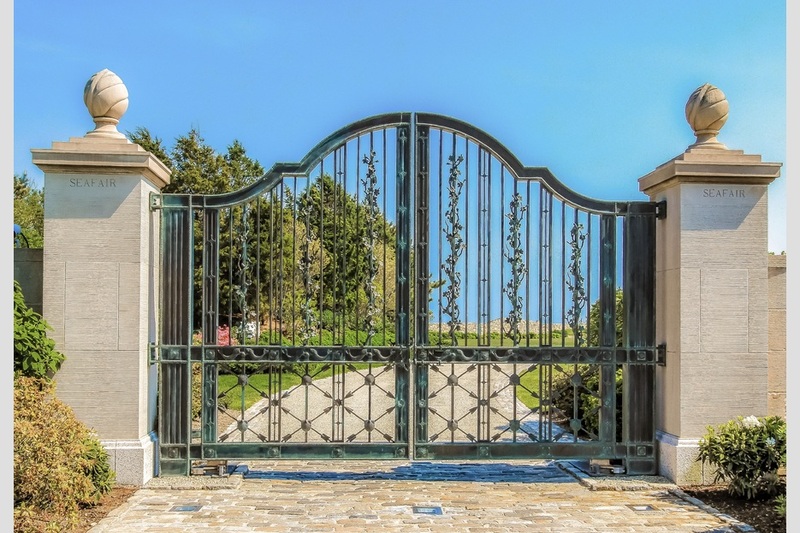 The “Firework” pop songstress is shopping the two-house estate as a whisper listing for about $15 million. With 4,800 square feet of space, Jeremy Piven’s new pad is more than big enough to fit his entire entourage. The actor just bought the house in Hollywood Hills West for $6.8 million. Harry Macklowe may be battling his wife of 57 years over their divorce in court, but his marital woes do not seem to be preventing him from living his best life. The developer has just bought himself a cozy mansion at 64 West End Road in East Hampton for $10.6 million. 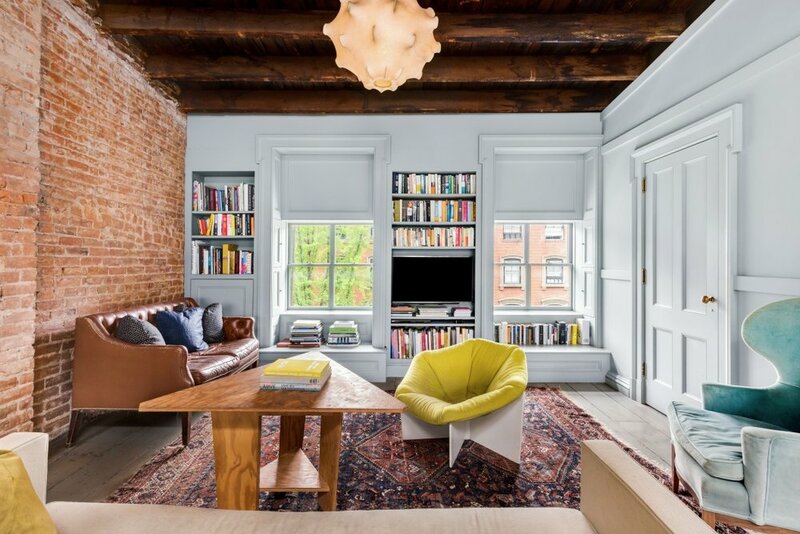 Mamie Gummer, the daughter of Meryl Streep and a celebrated actress in her own right, has just listed her apartment at 315 West 23rd Street for $1.8 million, per city records. Rosie O’Donnell, the comedian and chief antagonizer of Donald Trump, has just shelled out $8 million for a triplex penthouse at 255 East 49th Street. Thanks to our friends over at StreetEasy, we’re rather on top of this city’s real estate comings and goings — emphasis on goings. This past week, a handful of highly priced pads left the market for an assortment of reasons, but these are the most expensive residences that have found loving new owners. Two-hundred twelve Fifth Avenue — the ultimate New York City status building — is one of our favorite developments right now, so we’re not surprised that a unit at the Flatiron building is top of our list this week. The 4,089-square-foot spread was last asking $28.2 million, and for their money its new owners are getting soaring ceilings, tons of charm and views galore. Chelsea’s Walker Tower is just one of Ralph Walker’s pre-war deco towers in the city to find a new calling as a swanky residential building. 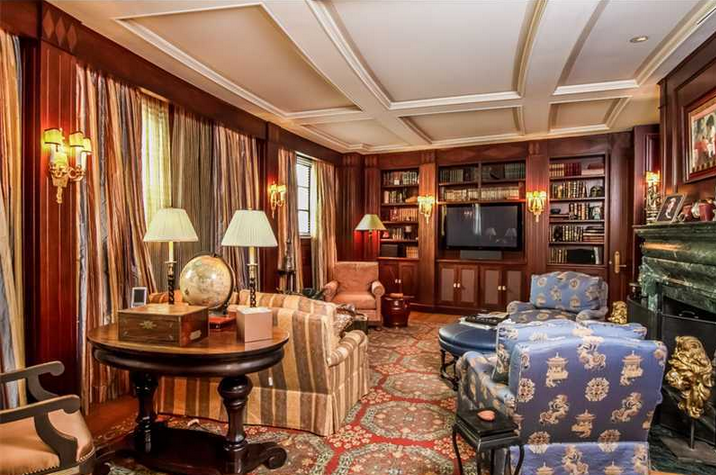 This two-and-a-half-bedroom unit was most recently asking $15.2 million. Amenities at the building include a concierge, a children’s playroom, a gym, a sauna and roof deck. Since 2011, this townhouse has been home to interior decorator Deborah Greatorex and her hedge-fund husband, which explains why the home is so gosh darn pretty. They bought the place in 2011 for $4.6 million, city records show, and gut renovated the place. It was most recently asking $12.9 million. Forty-five Park Place, an under construction glass tower at the juncture of Tribeca and the Financial District, launched their sales earlier this month, according to Curbed. And already they’re being snapped up. Last asking $12.35 million, this unit comes with three bedrooms, a great room with three exposures, and floor-to-ceiling windows. Waiting on construction to finish at 45 Park Place obviously isn’t a problem for this buyer either. This four-bedroom spread was last asking $10.5 million, and comes with all of the amenities its neighbor above does, along with a private key locked elevator. It’s become New York’s answer to the Chateau Marmont for some of the world’s biggest stars. An abandoned book bindery turned high-end condominium at 443 Greenwich Street in Tribeca is making headlines for the steady stream of A-list stars who have purchased units there. Some of the biggest celebs to have signed on so far include Blake Lively and Ryan Reynolds, Jennifer Lawrence, Justin Timberlake, Formula One star Lewis Hamilton and Harry Styles, sources told The Real Deal. A trust that appears to be linked to former “One Direction” crooner turned solo artist Harry Styles signed on for a 2,868-square-foot, three-bedroom unit way back in 2015, paying $8.71 million. A woman by the same name as Styles’ personal assistant, Emma Spring, is listed as the trustee on the deed, records show. “Hunger Games” actress Jennifer Lawrence snapped up a 3,184-square-foot, three-bedroom pad for $9.03 million earlier this year — and is now looking to rent it out for $27,500 a month. She purchased under the LLC New Bedford, though the significance of the name wasn’t obvious. It’s no surprise she wants to rent it out, since Lawrence is currently on set in London filming the movie “Red Sparrow,” in which she plays a Russian spy, according to news reports. 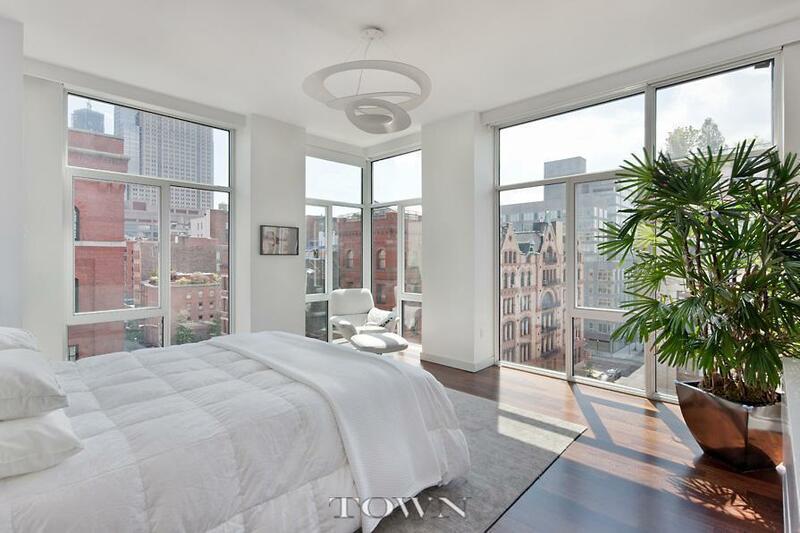 Fashion mogul Kobi Halperin was among the first buyers at the building, plopping down $6.11 million for a 2,644-square-foot, three-bedroom pad on the first floor. Halperin is the former creative chief at Elie Tahari, though he has since struck out on his own. Fashion mogul Serge Azria, the brains behind brands like Joie, Equipment and Current/Elliot, appears to be the buyer of a $14.26 million pad atop the building. The deal came about a year after Azria scooped up another penthouse nearby, at 60 White Street. He bought the property under an LLC registered to his home in Los Angeles. A buyer with a flair for the dramatic used the entity Big Bad Wolf LLC to skewer a 2,965-square-foot two-bedroom apartment at the project for $6.56 millionearlier this year. The LLC is linked to Prakasit Phornprapha, son of Thai car tycoon Phornthep Phornprapha. The Phornprapha family owns Siam Motors, which produces Nissan cars and trucks in Thailand. Forbes pegs their net worth at $935 million. Japanese singer and actress Juri Jinnai is listed as the signatory on a $14.24 million sale for another of the building’s penthouses. Jinnai grew up in Tokyo, though the source of her family fortune was not immediately clear. Enrique Alonso, an executive vice president at real estate investment firm SJP Properties, nabbed an $8.25 million pad in 2016. The three-bedroom unit totals 2,868 square feet. “Austin Powers” comedian Mike Myers closed on an apartment in the building for $15 million in December but actually took a $675,000 loss when he abruptly resold his 4,241-square-foot unit in March. The buyer disguised his or her identity with an LLC. Throughout the 2,168-square-foot residence are 11-foot ceilings and oversized windows. The main living space is open to the kitchen, which has bluestone counters, an eat-in island, oak cabinetry, and high-end appliances including a built-in espresso maker. 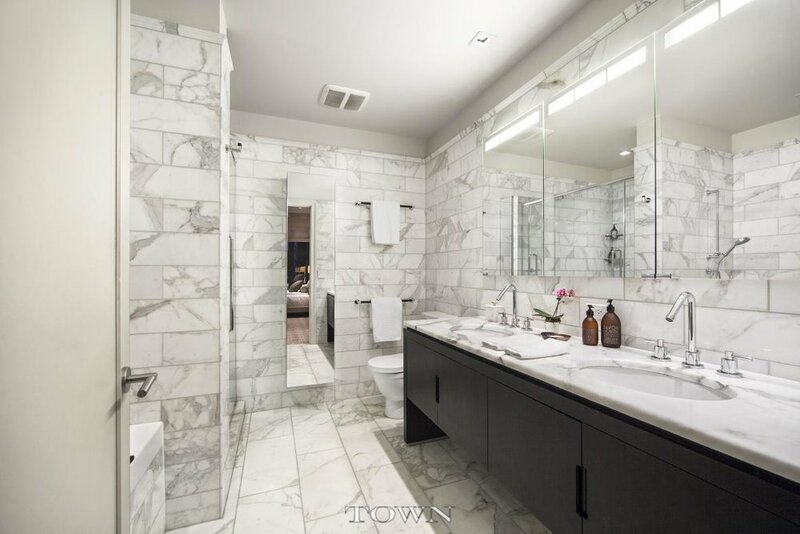 The master suite has custom closets and an en-suite Calcutta marble bathroom. The master and two other bedrooms all open to the 48-foot-long terrace that overlooks the building’s courtyard garden. (That’s Holt’s dog seen in the photo). The building, known as the Grand Madison, is a former showroom that was converted to 109 condos in 2004 (it was also once home to Chelsea Clinton). Amenities include a roof deck and health club. 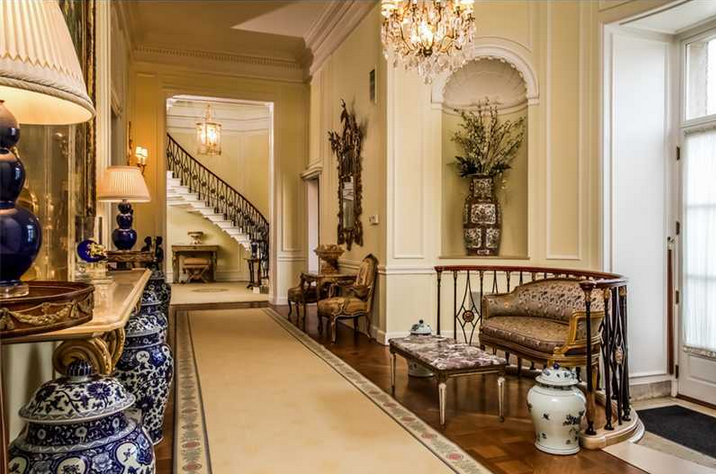 The elevator landing leads to a wood-paneled entry foyer, which then opens to the formal dining room. The living room has a wood-burning fireplace and is connected to a bright library with plenty of built-in shelving (check out the Emmy on the desk–Howard has won two, for his work on “A Beautiful Mind” and “Inferno”). In the sleek kitchen you’ll find stainless steel countertops, custom cabinetry with loads of storage, two dishwashers, two fridges, and a wine fridge. The corner master suite has an abundance of closet space and an en-suite bathroom with heated floors. In addition to claiming Ron Howard as the former owner of your apartment, whomever picks up the pad will also be neighbors with Meredith Viera. Past residents of the celeb-favorite include Bruce Willis, Alec Baldwin, Moby, and Bono. Ron and Cheryl also may have decided to move since their children are grown and they travel frequently to LA, reasons they cited for selling their $27.5 million lakeside estate in the NYC suburbs a few years back.